This article was originally published on the CX Network – a leading platform for CX and Marketing senior leaders. 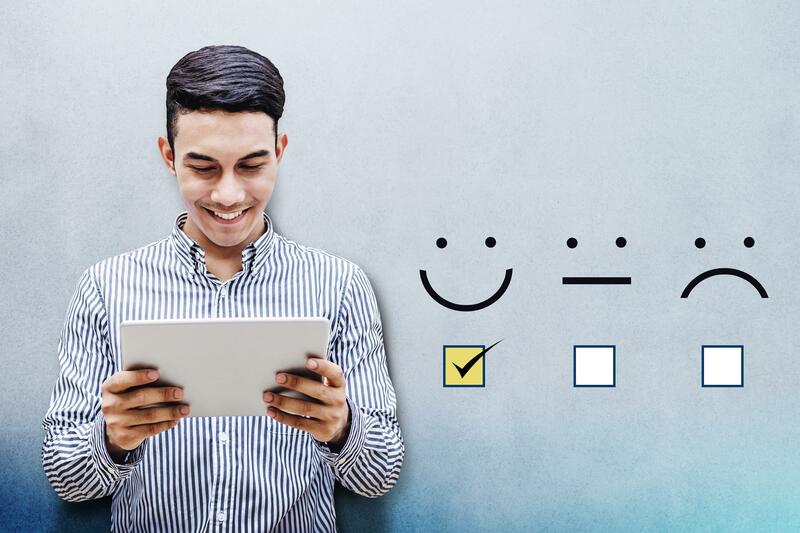 It’s a new world of customer feedback measurement, but is it out with the old and in with the new, or can traditional and futuristic tech work alongside each other to paint a complete picture? Let’s face it, surveys have lost a lot of their popularities over the years. Decreasing response rates and an ever shorter attention span from customers have announced the age of ‘survey fatigue’. And some doom and gloomers even argue they are a thing of the past. Are they though? Text analytics are the effort of structuring the data which is captured unstructured, while keeping the depth of insight. It attempts to bring the quantitative element back into the picture by associating key words to a category called ‘theme’. It applies rules on the words present in the text string and those surrounding it. Themes are the standardised, quantified approach to this data. Although the original solutions focused on a data set that was formatted to be digested by the engine, a new generation of advanced text analytics tool suites can now digest the information available on social media. This enables businesses to analyse both solicited and unsolicited feedback, which they would otherwise never hear from. According to Groovv, 96 per cent of unhappy customers will not complain to you but will tell their friends and followers – and now you can access that information too. As artificial intelligence (AI) is dubbed the biggest revolution of 2018, one would be quick to ask whether AI is making this any more accurate or easy. I caught up with AI thought-leader Lars Hamberg, CEO of Swedish start-up Gavagai. He spoke at the World Economic Forum in Davos about the promise of AI, successful corporate AI strategies and some of the most ‘unexpected, implications of language AI, both inside and outside of the business world’. Hamberg believes the future of feedback is about both open-ended responses and unsolicited social media commentary. Hamberg explains that with a few exceptions, there will be no need for structured data, beside the metadata, in typical customer feedback. However, he said there will still be a place for structured data and scale questions, as it is what people are familiar with. “Ultimately, it is the cost and business value of the customer insight that will determine the need for structured data. As soon as the newer approaches reach maturity and become more widely used, the closed-ended approach will be less commonly used,” he concludes. But what about NPS? Its promoters (forgive the most overused pun in the industry) claim this is the only number one needs to focus on (alongside an open-ended question) – does it still have its place in this new AI-driven offering? “If you are able to gather enough volume of answers, you will be able to determine with high accuracy what is driving customer satisfaction – on a much more granular level – based solely on unstructured text responses,” continus Hamberg. It turns out, there could be even more depth, reliability and rigour in an AI-calculated NPS score according to Hamberg: “Interestingly, responses also contain information about the likely future direction of the implied NPS, on an individual respondent level. The most direct way to find out what people think is simply to ask them, without going through some intermediate step of introspective gauging. Should we all give up on surveys then? Although many businesses are adopting text-analytics driven-approaches, and Hamberg sees its days counted, there are still many businesses needing structured data to measure customer experience. Take a business that is very data-driven and only swears by numbers, or another that wants to ensure they will fairly reward performance on the back of customer experience metrics. An open-ended approach will generate worry, uncertainty and probably discomfort, which would be prevented by a set of scale questions. Surveys might have been there for much longer than text analytics, but that doesn’t make them outdated. Like any new approach, some businesses will adopt it with great success and others with incredible frustration – novelty doesn’t mean it is a fit. When designing your voice of the customer programme, focus on what would work for your business, your operational colleagues and your corporate culture; whether that be AI-powered text analytics or close-ended questions. Understand what your business truly needs and adopt it. Ultimately, remember the greatest truth in customer experience measurement “Not everything that can be counted counts, and not everything that counts can be counted” (Albert Einstein). Surveys might have been there for much longer than text analytics, but that doesn’t make them outdated. Whichever approach you decide to adopt, make sure that you focus on what really counts, measuring and re-designing what your customers think and feel about engaging with you. Have the right tool for your business, instead of trying to fit your business to a fancy new tool. It’s not the fancy, but the right tool which will enable you, like Lars Hamberg, to create Next Practice in the Making.